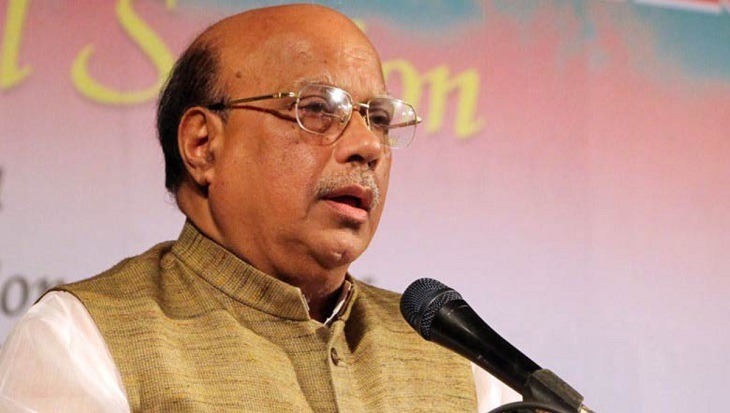 Health Minister and Spokesperson of the Awami League-led 14-party alliance Mohammad Nasim on Saturday said Jatiya Oikya Front chief Dr Kamal Hossain has deviated from his ideology in a bid to come to power. "How could those who had been in contact with Father of the Nation Bangabandhu Sheikh Mujibur Rahman shun his ideology and join hands with Jamaat-e-Islami? The nation will never forgive them," he said while exchanging views with professionals at his residence. He continued: "Just like anti-liberation elements who couldn't accept our liberation, their descendants don't accept our independence. So-called liberals like Dr Kamal not only joined hands with Jamaat but also gave them nomination with the 'Sheaf of Paddy' to bring them back to power." Jamaat is a component of the BNP-led 20-party alliance, but not part of the recently formed Jatiya Oikya Front formed under Dr Kamal's leadership. Nasim said the country's people should remain alert about the conspiracy of the anti-liberation forces. "They should be boycotted not only from the election but everything else." He also said there is no alternative to Sheikh Hasina to lead the country forward. "The country is marching forward in a systematic way. To keep up the trend, we have to reelect Sheikh Hasina. People shouldn't vote for the conspirators," he added. The Health Minister said all the efforts are on to hold a free, fair and neutral election in the country, urging all to remain cautious and patient as a certain group is trying to thwart the peaceful atmosphere. He also called upon BNP not to boycott the election on any excuse.